Visual C#, a feature of Microsoft Visual Studio® 2005, is a modern programming language designed to deliver a productive environment for creating business frameworks and reusable object-oriented components. Now you can teach yourself essential techniques with Visual C#—and start building components and Microsoft Windows®-based applications—one step at a time. With STEP BY STEP, you work at your own pace through hands-on, learn-by-doing exercises. 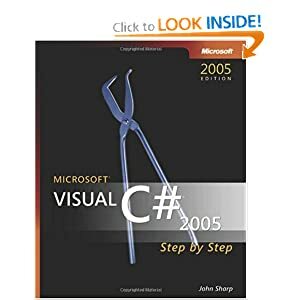 Whether you’re a beginning programmer or new to this particular language, you’ll learn how, when, and why to use specific features of Visual C# 2005. Each chapter puts you to work, building your knowledge of core capabilities and guiding you as create your first C#-based applications for Windows, data management, and the Web.